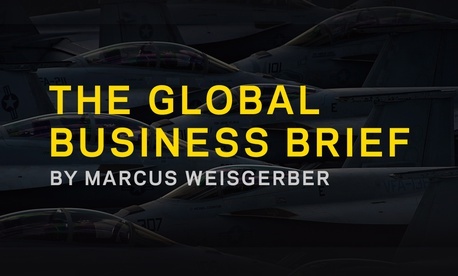 Biggest Israeli strikes inside Syria since 1973; 3 US prisoners released from North Korea; Spotlight on Niger; Australia’s China prediction; And a bit more. About the alleged attack triggering Israeli retaliation: “Iran’s Quds Force fired 20 rockets at Israeli front-line military positions in the Golan Heights” on Thursday. “Four of the rockets were intercepted, while the others fell short of their targets,” an Israeli military spox said. “Should there be another Iranian attack, we will be prepared for it,” he told AP. The targets hit in Tel Aviv’s strike, according to the Israeli Defence Forces, included “weapons storage, logistics sites and intelligence centers used by elite Iranian forces in Syria. It also said it destroyed several Syrian air-defense systems after coming under heavy fire and that none of its warplanes were hit,” AP writes. 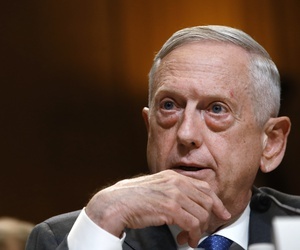 To those still asking: Iranian aggression and missile testing are the reasons the U.S. exited the Iran deal, U.S. Defense Secretary James Mattis told senators on Capitol Hill Wednesday. Saudi Arabia was ready for that one, and reminded the world they would seek a nuclear weapon if the Ayatollah does. More from CNN, here. 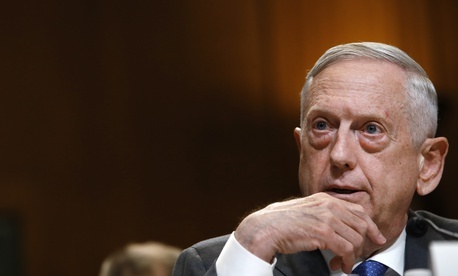 Mattis: Leaving the Nuclear Deal Will Help the US Negotiate with Iran // Caroline Houck: Withdrawal will help the U.S. develop a ‘more compelling’ deal on a range of issues, SecDef told lawmakers. Why We’re Launching a Review of Naval Education // Thomas B. Modly: Learning is the key to an agile force that can meet the challenges we see coming — and those we don’t. 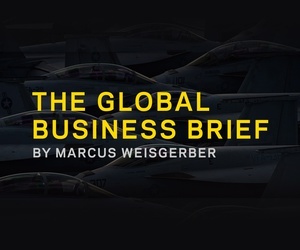 Reducing the Human Costs of ‘By, With, and Through’ // Melissa G. Dalton, Daniel R. Mahanty, Jenny McAvoy , Julie Snyder and Kelsey Hampton: Partnered operations put civilians at risk, which puts U.S. goals at risk. Here are some options for addressing the issue. Welcome to this Thursday edition of The D Brief by Ben Watson and Bradley Peniston. And if you find this useful, consider forwarding it to a friend or colleague. They can subscribe here for free. On this day in 2002, F.B.I. agent Robert Hanssen was sentenced to life in prison without parole for selling state secrets to Russia in exchange for $1.4 million in cash and diamonds. Tell us what you think! Have Qs for us to consider on this week’s podcast? Send them our way via this address, or call us at (757) 447-4596 and leave a voicemail! Trump’s goal for North Korea remains getting rid of Pyongyang’s nuclear weapons, he said from the tarmac at Andrews Air Force Base. “My proudest achievement will be — this is a part of it — but it will be when we denuclearize that entire peninsula,” he reminded reporters in attendance this morning. More from the “whirlwind” that was 20 hours of diplomacy over the three U.S. detainees — Kim Dong-chul, Tony Kim and Kim Hak-song — via the Washington Post, here. In case anyone’s asking: Removing U.S. troops from South Korea is (still) not on the table, SecDef Mattis told lawmakers Wednesday. From the region: Australia predicts China will be the top Asia-Pacific power by 2030, Stars and Stripes reported Wednesday. Happening today: The Pentagon is briefing reporters on what happened in Niger back in October when four American troops were killed in an ambush by Islamic extremists. According to Fox News, “Defense officials said they will lay out Thursday how the mission unfolded and led to the gruesome ambush, and then explain what is being done to correct the problems brought to light by the incident. Families of the fallen troops have been briefed on the investigation, including details of their loved ones’ final moments as they battled as many as 100 insurgents in a fierce firefight.” The briefing gets under way at noon (ET). Catch it live, here. But that’s not all. “Additionally, the Army Special Forces Group that has been assigned to Africa since 2016 may close two outposts — one in northeastern Niger and another in an undisclosed location in North Africa.” Continue reading, here. In northern Syria, a recent three-month operation ended with the apprehension of five top ISIS officers near the Turkey-Syria border, the New York Times reported Wednesday. What timing: “The developments quickly took over many Iraqi news broadcasts on Wednesday night, with news anchors praising Prime Minister Haider al-Abadi for what the intelligence service called a ‘major victory.’ The news came at an opportune time for Mr. Abadi, who faces a tight parliamentary race on Saturday.” More — including details of how the five captured fighters were deceived by one of their own — here. Who needs a “cyber czar.” The White House may eliminate its top cybersecurity post, Politico reported Wednesday. The current office-holder, Rob Joyce, “is a widely respected career cyber professional who spent nearly 30 years at the National Security Agency. He plans to return to the intelligence agency Friday.” Read on, here. This week in DoD contracts: Half a billion ($550,840,000) will finance an effort to “provide McAfee brand name hardware, software, and services for Department of Defense (DoD), U.S. intelligence community, and Coast Guard activities worldwide,” the Pentagon announced Wednesday. The winning companies: DLT Solutions Inc. (out of Herndon, Va.) and EC America (McLean, Va.). And finally today: “The Maverick” speaks up. Sen. John McCain (R-Ariz.) wants his colleagues to reject Gina Haspel as the new head of the CIA, he said in a statement Wednesday. In his own words: “I believe Gina Haspel is a patriot who loves our country and has devoted her professional life to its service and defense. However, Ms. Haspel’s role in overseeing the use of torture by Americans is disturbing. Her refusal to acknowledge torture’s immorality is disqualifying. I believe the Senate should exercise its duty of advice and consent and reject this nomination.” Read more from Fox News, here. What’s in the House NDAA? ; Pentagon’s 3D-mapping service; New Marine One, weed whacker; and more.